Located in Tochigi Prefecture, Nikko is a city that has much to offer to its visitors with its long list of local attractions. We'll highlight eight of those reasons here! If you go to Nikko, you should definitely not miss going to the hot springs. Kinugawa Onsen is an extremely popular hot spring destination in the Tochigi Prefecture. The clear, mild waters that flow from the area's hot springs have been in use since the Edo Period, and you can experience it at Kinugawa Onsen's ryokans and public baths. A scenic lake in Nikko National Park, Lake Chuzenji was created 20,000 years ago when Mount Nantai erupted and blocked the river. Especially beautiful during the autumn, Lake Chuzenji is an extremely picturesque place, with almost any picture taken accompanied by the once sacred mountain Nantai in the background. During Japan's hot summers, the lake's high elevation keeps the area cool and comfortable, attracting many to choose this lake for a summer retreat. Located at an altitude of 1400 metres (4593 feet) above sea level, the Senjohagara Marshland covers the plateau between Lake Chuzenji and Yumoto Onsen. It offers one of the best hiking spots in Nikko National Park and is especially beautiful during the autumn when the marshland's grasses turn into a reddish yellow while the larch trees into shiny gold. "Senjogahara" translates to battlefield and here it refers to a mythical one where legend states that the gods of Mount Nantai and Mount Akagi fought to claim the neighbouring lakes as their own. Taking on the incarnation of a serpent and centipede respectively, they fought and intertwined repeatedly, which resulted in this marshland. See and decide for yourself if the place really is like a battlefield of the gods. Nikko has 3 of the 5 icehouses that currently exist all over Japan. These shaved ice are taken from Nikko's natural spring water, frozen naturally by the natural cold air, it just can't get any more natural than this! As a result, the produced ice is very soft and does not cause brain freezing when you gobble it down. Each shop has its own specialty flavour, like ujikintoki with maccha (powdered green tea), syrup and an (red bean paste) on top, and standard ones with strawberry or melon syrup. Try all the different flavours as you stop by every shop for one! 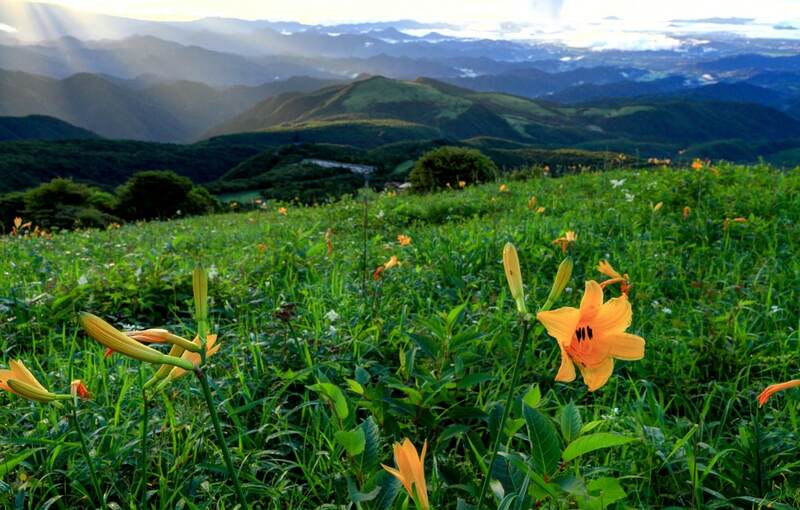 Kirifuri Highland Kisuge-daira Park is a beautiful field of different flowers throughout the seasons. Located 8 kilometres (5 miles) north of Nikko city at altitudes between 1300 (4265 feet) to 1600 metres (5249 feet), visitors can expect to also meet the Tenku Kairoor, the corridor in the sky. The 1445-step stairway offers visitors the opportunity to make their way leisurely up the highland to capture the view of nikkokisuge flowers that paint the highland in a sea of yellow between June to mid-July. On a clear day, visitors can capture a panoramic view of the Kanto Plain, Mount Fuji, Tokyo Skytree and even the Pacific Ocean from the peak. What’s even better, is that you enjoy clean air along with a travelling plan that is both healthy and memorable.